Discover 6 destinations in 4 countries on the all-inclusive Adventures by Disney® Rhine River Cruise! Discover exciting destinations on a hassle-free Adventures by Disney guided group vacation where your family becomes part of the story as you are immersed in the people, places and cultures of wherever your adventures take you. 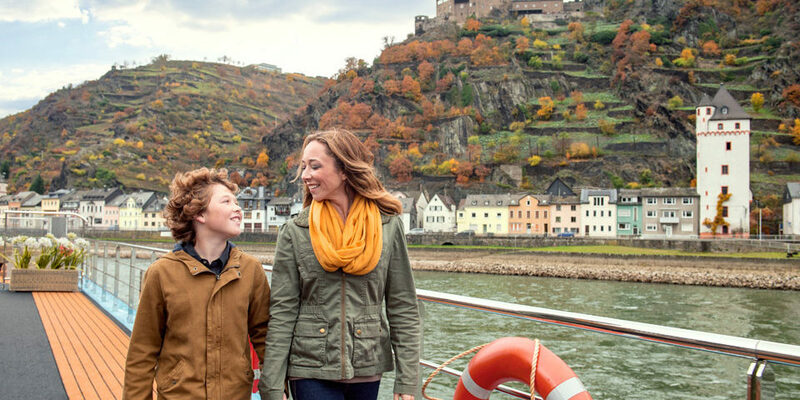 Enjoy exclusive sailings with AmaWaterways, a leader in luxury river cruising, as well as exciting activities for every member of your family. Black Forest Adventures: Ride a toboggan through the pastoral landscape and learn to make an iconic cuckoo pipe. Heidelberg Castle Tour: Learn about the history of this renowned storybook castle that dates back to 1614. Riquewihr Excursion: Enjoy this quaint medieval village with its cobblestone streets and 13th-century structures. Strasbourg Walking Tour: Explore this amazing city and the Gothic Cathedral de Notre Dame with its Rhine River views. Amsterdam Canal Cruise: See this picturesque city and its remarkable attractions as you glide down one of its 165 canals. Van Gogh Museum: Marvel at the largest collection of this master painter’s works, then express yourself on canvas. Rhine Gorge Castle Cruise: Sail through the Rhine Gorge and the lovely shoreline that’s populated with 30 iconic castles. Chocolate Museum: Discover the history and culture of this tasty treat, then sample some amazing chocolate. Indoor Winter Park: Sled, tube or hit the ropes at this indoor ski hall that’s home to wonderful wintry games. Medieval Wine Caves: Head down to the basement caves of Cave Historique Des Hospices and its ancient wine barrels. Rüdesheim Gondola Ride: Take to the sky via a gondola ride to Niederwald Monument for amazing panoramic views. Cologne Walking Tour: Walk around this historic 2,000 year old city that is now a cultural hub of galleries and museums. Horseback Riding in Riquewihr: Ride the trails of the Champ du Feu and enjoy breathtaking views from atop a horse. For more information, please visit MEI Travel & Mouse Fan Travel. Tell them Coffee With Kenobi sent you! Thank you to MEI Travel & Mouse Fan Travel. Next article In-Stock STAR WARS Helmets 30% OFF Through 8/19; 30% OFF Uniform Insignia TODAY ONLY -- From Anovos!